Come and meet Integrated Optics at SPIE Photonics West in San Francisco on 27 January - 1 February, 2018! 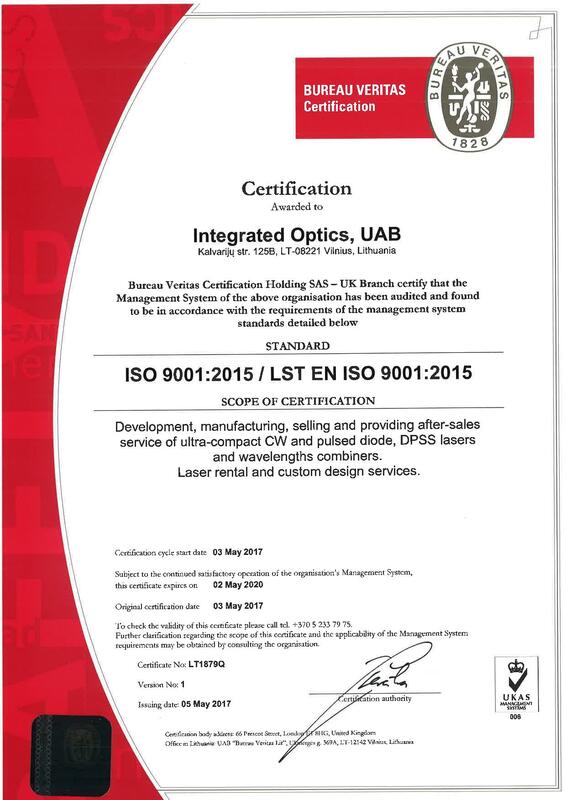 Proud to Announce: We are ISO 9001 Certified! Integrated Optics is a Prism Awards 2017 Finalist! This year Integrated Optics is named a finalist for the 2017 Prism Awards for Photonics Innovation. CW Lasers for Rent: a Laser Just When You Need It! 15 models of lasers can be rented for one to several months, paying just 12.5% of the laser price per month. Our newest addition to the MatchBox product range - a diode laser with a perfectly circular and homogeneous beam. 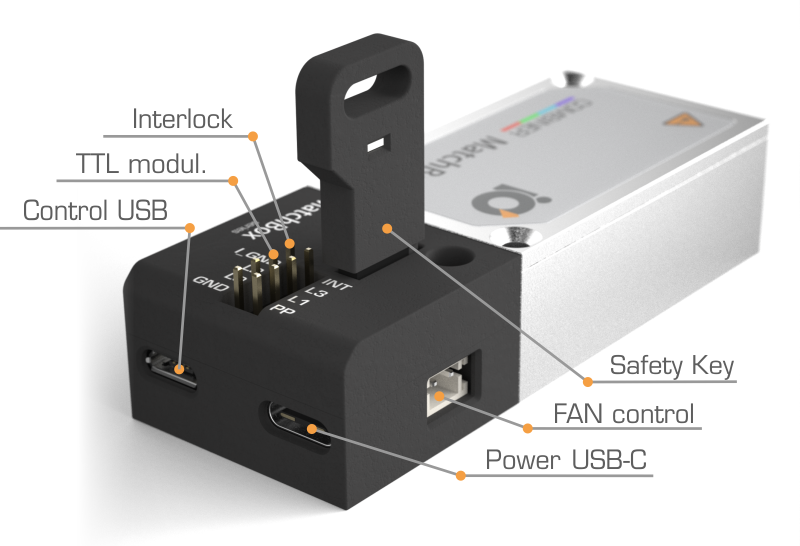 This accessory provides RS232 control interface for the Matchbox2 series of lasers. 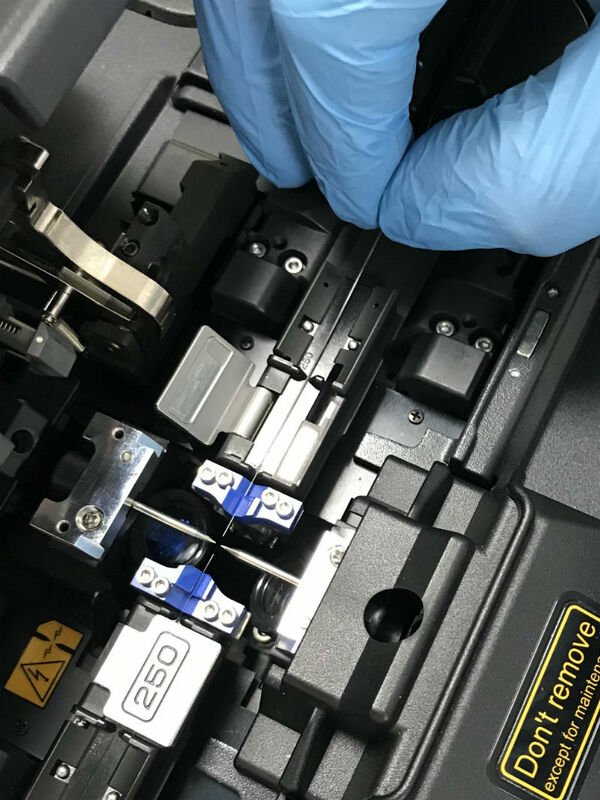 Read about compact yet powerful MatchBox series of lasers. The series comprises more than 150 product variations in the same footprint. MatchBox 2: Not Only Smaller, but Also Much Smarter! Come and meet Integrated Optics at SPIE Photonics West in San Francisco on February 16 - 18, 2016!